The BBC has launched its national DAB digital radio multiplex from an additional 11 sites. Among the places now added to the coverage area of its national DAB stations are parts of Grantham, Ipswich, the Kintyre Peninsula, Nuneaton, Port St Mary on the Isle of Man, plus Cannock and Rugeley in Staffordshire. Port St Mary was officially brought into service yesterday, the others have been switched on over the past two months. In addition to increasing its coverage area, the new transmitter sites commissioned by the BBC also improve DAB reception in areas with a previously weak signal. 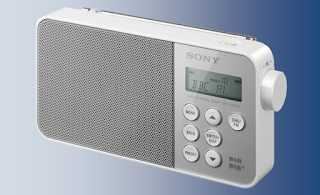 The BBC National DAB multiplex carries BBC Radio 1Xtra, BBC Radio 4 Extra, BBC Radio 5 Live Sports Extra, BBC Radio 6 Music, BBC Asian Network and BBC World Service in addition to BBC Radios 1-5. The BBC is currently in the final stages of its expansion of the BBC National DAB multiplex to reach 97% of the population by the end of this year.